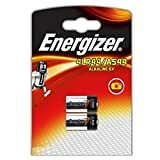 Energizer Alkaline batteries have been designed to provide reliable and long lasting power. This entry was posted in Discount Photography and tagged 4G13, 4LR44, A544, Alkaline, Batteries, ENERGIZER, L1325, Twinpack by Ball Photo. Bookmark the permalink.